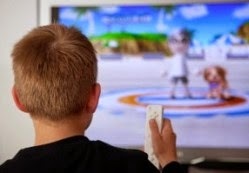 Parents looking to get their kid's attention - or keeping them focused at home and in the classroom - should try to limit their television viewing and video game play. That's because a new study led by three Iowa State University psychologists has found that both viewing television and playing video games are associated with increased attention problems in youths. Collaborating with Swing on the research were ISU's Douglas Gentile, an associate professor of psychology and Craig Anderson, a Distinguished Professor of psychology; and David Walsh, a Minneapolis psychologist. Their study will be published in the August print issue of Pediatrics -- the journal of the American Academy of Pediatrics -- available online. Previous research had associated television viewing with attention problems in children. The new study also found similar effects from the amount of time spent with video games.